​MAARC first engaged in the Amateur Radio Space program when it installed a Space Station, VE9MSC, at Bernice MacNaughton High School. This arrangement was intended to give students and faculty ready access to the Amateur Radio Space program. Among the dignitaries present for the official opening was Canadian Astronaut Dr. Steve Maclean. Dr. MacLean was appointed President of the Canadian Space Agency in 2008. When BMHS changed its curriculum along with related building renovations, the Space Station was moved to the MAARC, Inc. club rooms. With new equipment and software it became fully operational in 2010 and a number of successful contacts have since been logged. Seminars for Club members have been conducted by Denis Bourque, VE9EMS. Participants were given “hands-on” coaching in operating the Space Station. 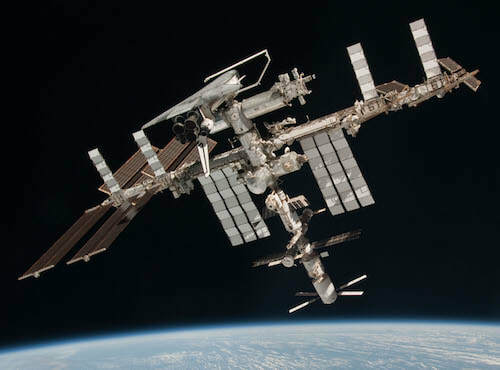 It is planned to schedule a contact with the International Space Station in the near future with school students invited to participate. Club members are encourage to make frequent use of VE9MSC and become proficient in its operation. Below are addresses leading viewers to Web sites related to Amateur Radio Space communications. The intent is to give viewers a comprehensive resource and ready access to major sources of Space information. Other listings on each Web site give additional detail. The four Websites listed above provide comprehensive information for Radio Amateurs related to Space Satellites, the International Space Station and operating the Club’s Space Station, VE9MSC. Club members are encouraged to review the references on this site and become familiar with operation of the Club’s Space Station. It’s an evolving and stimulating facet of Amateur Radio that will provide many rewarding experiences.